In the aftermath of the EU referendum vote to leave, some Oxford students and residents have been expressing dissatisfaction with the result. Following the result of the EU referendum on Friday morning, events have been planned in Oxford to voice opinions on the outcome and its effect on Britain in the future. Oxfordshire voters deviated from the national trend and chose to remain in the EU; with a 72.3% turn out, 70.3% of people voted for the Remain campaign. Leaders of both the Remain campaign, including David Cameron, George Osborne and Theresa May, and the Leave campaign, such as Boris Johnson and Michael Gove, are all alumni of the University of Oxford. 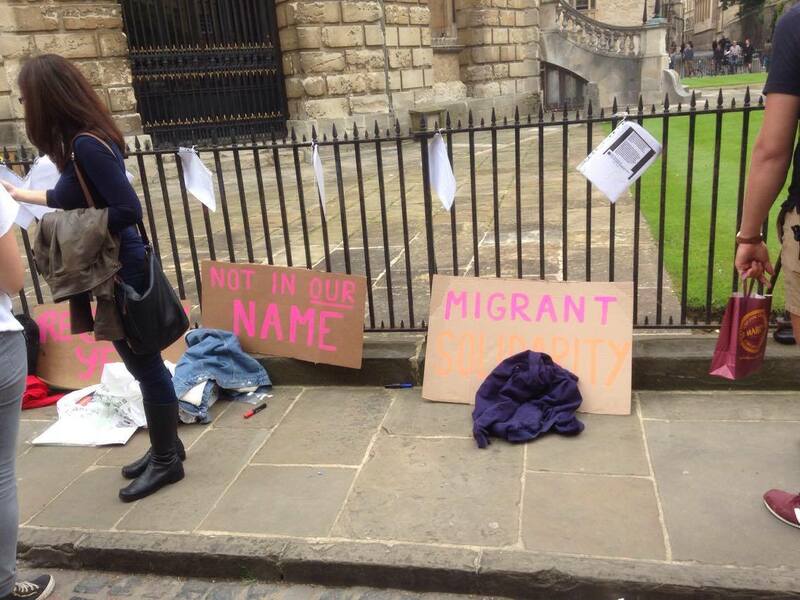 On Sunday Afternoon there was a gathering of around 100 people at Radcliffe Square outside All Souls College. The organisers and participants made speeches on the future of the Remain campaign in the wake of the referendum result. Tessa Clayton, the manager of the Oxford protest on Tuesday told Cherwell, “#stay events are about gathering in a positive way to discuss the post referendum landscape. They are not affiliated with any political party. The aim is to channel the high levels of energy people are feeling about the referendum in a productive way. We need to find hope and start to look at how our voices can shape our future relationships within Europe. Previous articleCan 17,410,742 people be wrong? Make a bridge and get over it……move on. Hi guys we had a democratic vote BREXIT was the decision, shall we keep voting until we get the result you want/ While we are at it shall we also let the Scots keep voting til that result changes. Get real guys you live in a democracy!